Even if the iPhone 3GS is still a trustworthy smartphone powered by a very stable OS it can still sometimes show signs of fatigue. We’re going to show you how to reset the iPhone 3GS to factory settings. This is mostly needed when you feel that the overall flow is a bit slow and you’re craving for the agility once had, or if you unfortunately find yourself stuck at Apple logo. The iPhone was announced and released in late 2009 powered by iOS 3 at that moment, but upgrade has been possible until iOS 6.1.3. The Apple veteran-device was not included on iOS 7’s shopping list. Let’s talk a little specs before getting into hard resetting the iPhone 3GS. The smartphone is powered by an Cortex-A8, clocked at 600MHz and a PowerVR SGX535 graphics processor. The 3.5 inch display with a 320 x 480 pixels resolution is protected by Corning’s Gorilla Glass. The internal memory varies between 8, 16 and 32 Gb of storage, just perfect to store more and more of the pictures taken with the 3.15MP back-facing camera. Browse to Apple and install iTunes, if you don’t have it already. Connect the iPhone 3GS to the PC through the USB cable. iTunes should launch automatically but if not, access it yourself. Once it is connected, select your device from the top right corner. The iPhone information windows should appear. Select “Restore” and confirm the action once the confirmation pop-up appears. You’ll have to wait a couple of minutes until the software version is downloaded and extracted + a few more minutes until the restoring of the software is completed. The “Your iPhone has been restored to factory settings” message will appear after soon after. Good news. The 3GS will restart at this point. Select the name for the iPhone. Select which accounts you want to sync with the iPhone. Select which apps you want to sync with the iPhone. 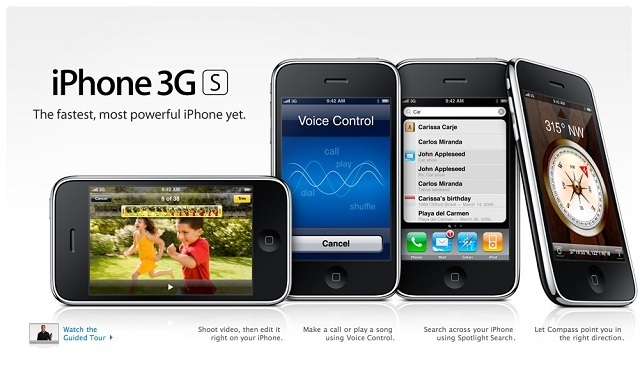 After deciding what you want your new 3GS to contain, just click the “Apply” button and sync will start. Go to “Settings” -> “General” -> “Reset” -> “Erase all content and settings”. Once the hard reset is finished, set up the 3GS and you’re good to go. Make sure the device is turned off and that it is not connected to the PC. Hold down the Home button and connect the 3GS to the computer ( don’t release the Home button yet ). 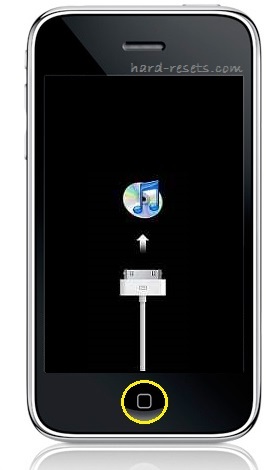 Once the iTunes and usb cable logo appears on the iPhone appears, you can let go of the Home button. Restore the device using the iTunes method from above. There may be some reasons for your device to be bricked. The most important thing is to make sure you have enough battery when upgrading to a newer software version, because interrupting the upgrade will lead to a bricked iPhone 3GS and a reset to factory setting is needed. Also jailbreaking incorrectly can lead to a bricked iPhone, so please be careful with that also. Well, there you have it – the guide to reset the iPhone 3GS, I hope you don’t have to use any of the steps above. But in case you do, use them with care, don’t skip any of the steps, and let us know how it went. Basically, there are two rather simple ways of performing this task. The first one explained involves a device that has at least iOS 5 currently installed. If you don’t know what software version the iPhone 3GS is currently running and you can’t seem to find these instructions, browse down to the last resort. From the basic phone menu, tap on Settings. If you can’t find it just by browsing, swipe to the right and then type Settings to search it. In the General menu, you should find a Reset option. Now chose Erase All Content and Settings and then confirm your selection. As I said just above, if the phone is running an older version of iOS, you can still refresh the software by pressing and holding the Home button simultaneously with the Sleep / Wake button, located on top of the smartphone. Keep these buttons pressed until the phone restarts, and release them when the Apple logo appears. Afterwards, no other confirmations or options are required, the device will simply delete the current configuration. Firstly, make sure that your Internet connection is working. Next, install the latest version of iTunes and see if that does the trick. For that kind of problems please speak with the carrier yourself, the one that are providing service. There may be something wrong with their database or with the SIM itself, and maybe they can change it. Misleading title! Both methods require iTunes. It seems there was a problem with the database and the last method had disappeared. We’re sorry for that error. I dropped my iPhone 3GS A1303 on the ground now its not charging. Pics below of what its doing when i hold the power button on for 5 seconds.what does this mean and how can i fix it? You should go to an Apple authorized service. This has nothing to do with the software part. Most likely, the charging board has been disconnected from the shock. It have all to do with just software but when buy it outside Holland than they will not support . In the original buy certificate and manuel is written that they give worldwide service and support.